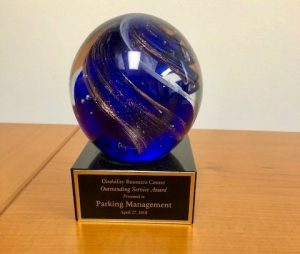 At the end of the 2018 spring semester, the University at Albany Parking and Mass Transit Services was presented an Outstanding Service Award from the Disability Resource Center for their continued support of those in need on campus. It was such a great honor for our department and made us all very proud. 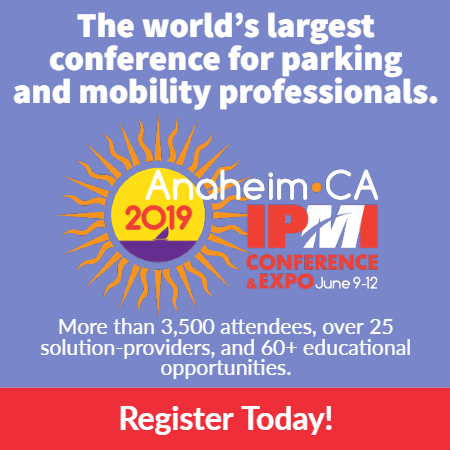 If being recognized once was not touching enough, when the keynote speaker began her speech she alluded to the fact that in 10 years of award ceremonies she had never seen a parking operation be acknowledged in this setting. It was hard to hold back the tears and we all had goosebumps. As some of our team sat through the ceremony, it made me think of all the parking and transit operations nationwide and what we do on a daily basis to make things run smoothly, whether that means enforcement of accessible spaces, making sure mobility lifts on buses are operational, placing ramps in the proper location, providing specialized transportation services, serving on committees, you name it. After the event as the PMTS team walked to our vehicles, it was kind of silent. It is my belief that not only were we on cloud nine but I’m sure thinking about how many challenges and how much effort those with disabilities must endure to get through just one day, and in some circumstances, a lifetime. This is an award for all of us within parking and transit. Your efforts do not go unnoticed! Jason M. Jones is director of parking and mass transit services at the University of Albany.